Need a Wholesale Distribution Software? They say, “Necessity is the mother of invention”. That is why invented products came out and are now available to customers. But different people have different style of purchasing these products. Some purchase products through online shops and wants those products and services delivered. On the other hand, some other people prefer buying at stalls, shops or at business establishments. Buyers tend to order at bulk while others purchase limited items only. Hence, whatever will be the buying preference of customers, wholesale distribution of the products and services poses a great deal of challenge to distributors. Therefore, it should be noted that the distribution strategies of a business firm should be in harmony with customer’s wants and needs. Wholesale distribution management has many facets. It includes customer relationship, supply-chain management, sales management, supplier relationship, product data management, warehouse management and others. Each of the management process and its requirements should be understood in order to ensure a smooth delivery of products and services to end users. Additionally, the individual arm of distribution management should harmonize so that efficiency and customer satisfaction could be attained. To better understand SAP distribution management software and address issues of implementation, businesses should utilize wholesale distribution software that is reliable and affordable. The installation of SAP wholesale distribution software will help fully integrate the works of the various aspects of distribution. Overseeing the entire business through distribution software can further create opportunities to increase supply-chain performance and meet customer’s needs. At some point in the business cycle, business firms are faced with various challenges regarding changes in the business process and requirements. Wholesale Distribution business firms should take a deeper look into the value of using distribution software that can address change. Individual aspect of the process should be improved continuously since business environment shift drastically due to change customer preference and needs. In this case, SAP wholesale distribution software should also be adaptable to these possible changes. Business should look for distribution software that can adapt to change and can be modified when the need for new requirements arises. Strategically designed for small and medium-sized businesses, SAP BUSINESS ONE (b1) is an ERP (enterprise resource planning) application software that caters the need of a firm that handles wholesale distribution management. It fully integrates key functionalities using distribution software that enables management of inventory across multiple warehouses and locations. SAP BUSINESS ONE (b1) also features tracking and recording stock movements and warehouse management. The scope of sap business one extends not only in distribution and inventory, but also into accounting and financial management. Another key feature of SAP BUSINESS ONE application is the capability to respond to changing business environment. It is flexible since it can be modified as need arises so that end-to-end operations will bring good results. It provides management and users accurate and real-time business information in order to make wise and well-informed decisions. Thus, when faced with business changes, sap business one will take management into a well-modified system which can address these changes. By managing the entire business using a single system like sap business one, the management can eliminate work duplication, handle the task with greater clarity and accelerate profitable growth. What Business Processes are covered in the SAP Wholesale Distribution Software? 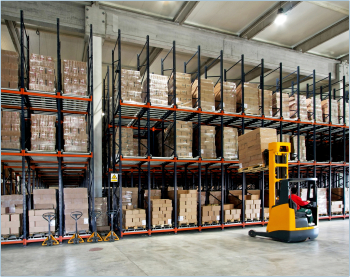 Planning activities in Wholesale Distribution companies depend very much on the processes and services they offer. Logistic-oriented wholesale distributors with own warehouses need to plan their supply carefully. Usually wholesale distributors use their own sales data. SAP offers complex demand and supply planning tools in SAP ERP as well as in SAP SCM. Demand and Supply Planning capabilities enable companies to maximize the return on assets and ensure a profitable match of supply and demand. 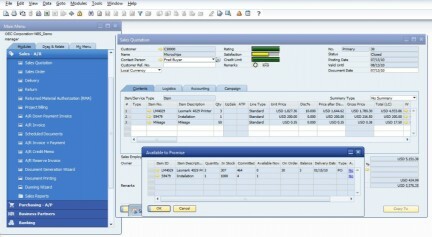 This master plan generates all the orders needed to fulfill a given customer order situation or forecast requirements. Scenarios in Procure-to-Pay help you manage strategic relationships with suppliers, in addition to operational relationships. This includes strategic sourcing, vendor evaluation, supplier collaboration, supplier agreement monitoring, purchasing, compliance with foreign-trade management, customs handling support, compliance with regulations, and accommodation of various trading practices, as well as chargeback/claim and rebate management. Supply Chain Execution includes inbound and outbound logistics, warehouse and inventory management, and transport management processes. Order-to-cash management helps you manage and maintain customer relationships, process orders using a variety of channels, compliance with foreign-trade management, customs handling support, compliance with regulations, and accommodation of various trading practices, manage billing and collection activities, and supports the customer agreement monitoring.